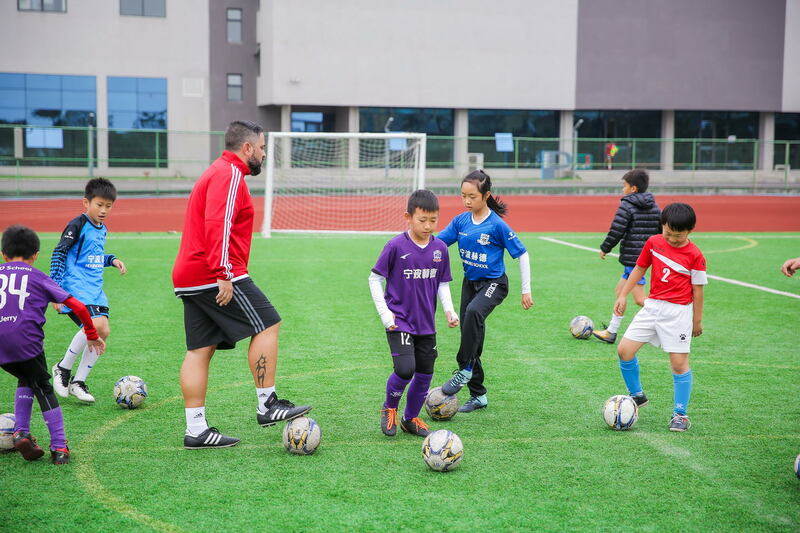 The Physical Education and Sport Programs at HD Ningbo help develop character in our students through individual and team opportunities. Everyone is different and we work with individuals to help them understand their bodies and physical capabilities. Our highly skilled staff and coaches guide our students on a journey of growth, acknowledging the improvements, challenges and developments along the way. We believe that positive influences in Physical Education and sport are life altering. Our P.E. teachers and sport coaches positively impact students by offering them valuable life lessons, role models to look up to and the knowledge and tools to lead a healthy lifestyle. The children enjoy learning a range of sports including Golf, Tennis, Hockey, Swimming and general team sports. As well and developing their physical strength and co-ordination, the pupils learn a huge amount of transferrable skills including working as a team, communication skills and following detailed instructions. Within the P.E. Program, opportunities exist for all of our students to participate in such events as our annual Sports Day, House-Based Sports Days, internal team sports competitions, the House Cup, and the Olympics.